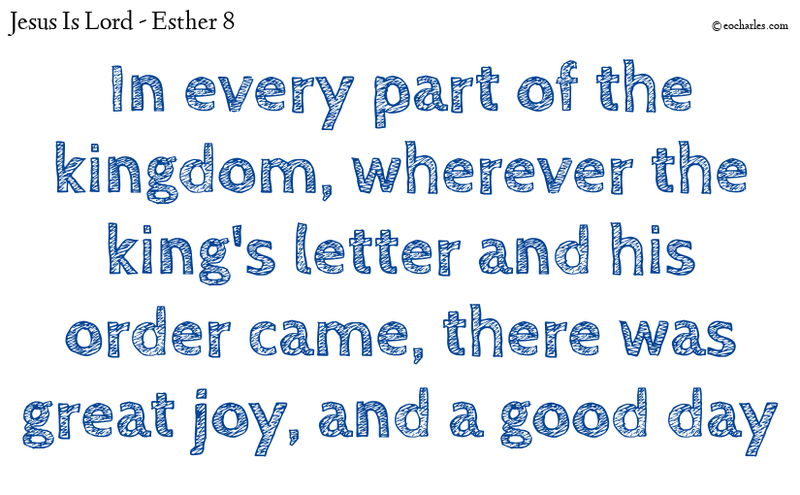 And in every part of the kingdom and in every town, wherever the king’s letter and his order came, the Jews were glad with great joy, and had a feast and a good day. And a great number of the people of the land became Jews: for the fear of the Jews had come on them. Php 2:11 And that every tongue may give witness that Jesus Christ is Lord, to the glory of God the Father.